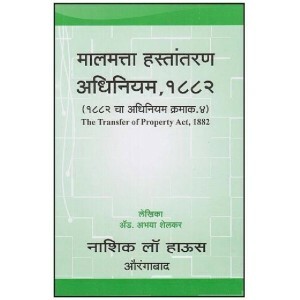 Maharashtra Prevention Of Fragmentation and Consolidation Of Holdings Act, 1947 in Marath | Tukde..
Nasik Law House's Transfer of Property Act, 1882 [Marathi] book by Adv. Abhaya Shelkar. P.. 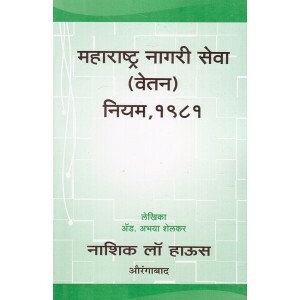 This is a book on जामीन | Bail (Marathi) [1st Edn. Sep.2015] by Adv. Abhaya Shelkar, Nasik .. 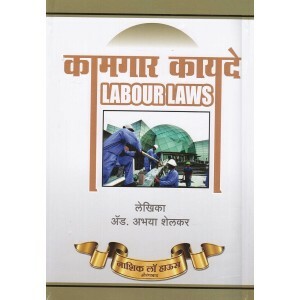 The book contains details of Promotion, Seniority, Personal Salary, Involvement & Completion .. 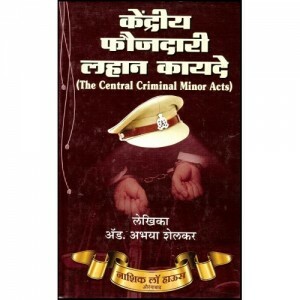 This is a book on Charge Sheet (Marathi) by Adv. Abhaya Shelkar. This book covers all the topics .. 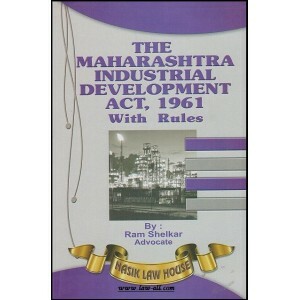 This book contains all rules related to Flats & Apartments like Sale, Purchase & Maintain..
MCSR's Conduct Rules [Marathi],1979 by Adv. Abhaya Shelkar With Government Important Decisions an..
सदर पुस्तक, पोलीस तपास ज्या विषय भोवती फिरतो त्या विषयावर प्रकाश टाकणारे आहे य़ पुस्तकात कायद..
सदर पुस्तक, पोलीस तपास ज्या विषय भोवती फिरतो त्या विषयावर प्रकाश टाकणारे आहे य़ पुस्तकात कायदेशीर .. The book contains Hindu Marriage Act, 1955, Hindu Divorce Rules, 1955, Hindu Adoption Act, 1956 a..
Nasik Law House's Book on The Essential Commodities Act, 1955 [Marathi] by Adv. Abhaya Shelkar, 2.. Contents : Digital and Electronic Signature. Electronic Governance. .. This is an useful resource of Government Resolution, Notifications and Circulars for all running .. 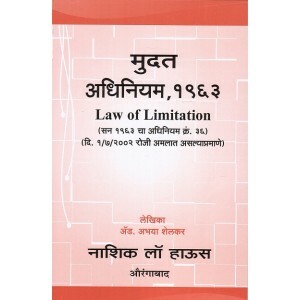 This book contains the Arms Act, 1959 & Rules, 1962 in Marathi (Shastra Adhiniyam) along with&nb.. 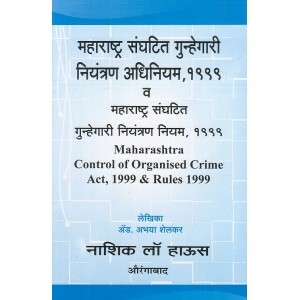 This is a book on Confidential Report & Adverse Remarks [Marathi] by Adv. Abhaya Shelkar.. This book explains the Discipline, Leave & Travel Leave Rules for Educational Employees in ma.. This book contains the State Government's Policies regarding Educational Concessionas alongwith R.. The Bombay Financial Rules Part- 1 to 3 with Important Government Decisions.. Recruitment. Medical Attendance. Reservation. Concession. Allownces. .. 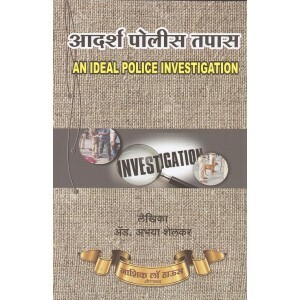 This is a guide to Ideal Police Investigation techniques in Marathi. (Aadarsh Police Tapaas) .. The book contains imformation about Headmaster Selection, Responsibilities of Chief of School, Te.. 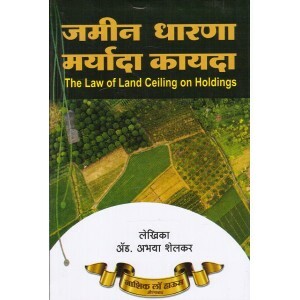 This book contains the Laws, Rules, Acts, Important Court Judgements Related to Land in Maharasht.. 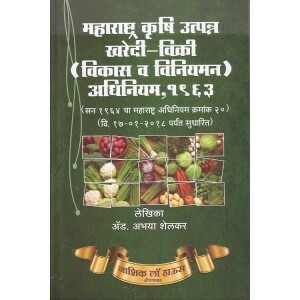 This book contains the Law of Confession and Dying Declaration in Marathi (Kabuli Jabab aani Mrit..
Nasik Law House's Law of Forest Conservation [in Marathi] by Adv. Abhaya Shelkar, 2016 Edn. ..
Law Of Limitation,1963 with Act No. 36 of Year 1963 from 1/7/2002 ..
Indian Partnership Act,1932. Structure of Partnership. Relations Between Partners.. 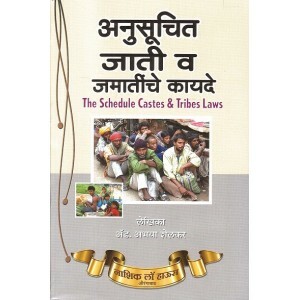 This is a book on Laws Related to Tribal Lands by Adv. 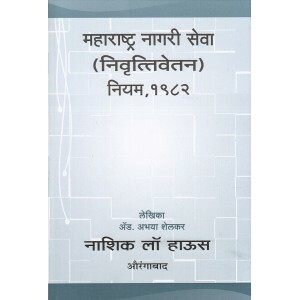 Abhaya Shelkar in Marathi. महाराष्.. 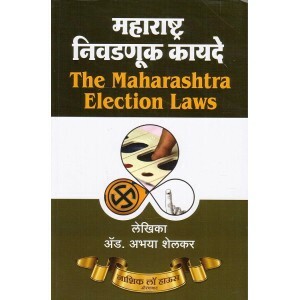 This is a legal book on Appointment and Approval of State Government Educational Staff in Marathi.. 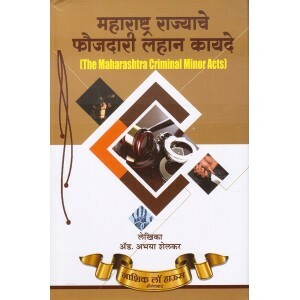 This book contains all the sections of Maharashtra State Village Police Act, 1967 along with rela.. 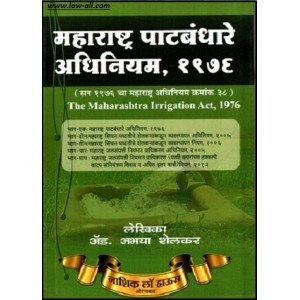 This book contains all the various laws, rules and regulations regarding the Maharashtra Irrigati.. 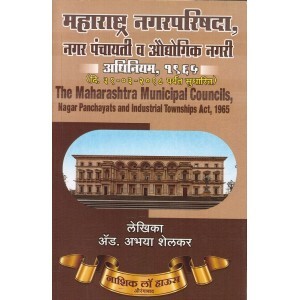 This is a book on Maharashtra Municipal Councils Nagar Panchayats & Industrial Tow.. 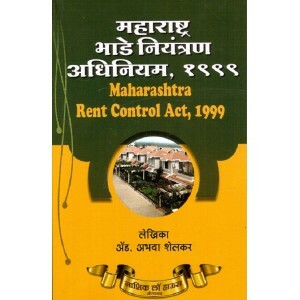 The 7th Edition of Abhaya Shelkar's Maharashtra Regional & Town Planning (MRTP) Act, 1966 in .. Contents of the Book: भाग एक : प्रारंभिक कुळवाहिवाटीबाबत सर्वसाधारण तरत..
Mamledar Nyayalay Adhiniyam, 1906 [Marathi] | Mamledar Court Act 1906 .. The MCSR Government Servants Regulation of Transfers and Prevention of Delays in Official, Duties..
All Important General Resolutions & Circulars of date 01-01-1999 to 31-12-2012 .. The book contains two Parts. 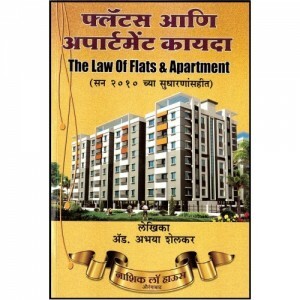 Part - I contains City Land Survey Rules & Part - II contains La.. Preliminary. Backward and Reserved Place. Officers For Checking Certificate. .. 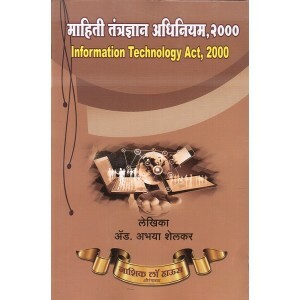 The Right to Information, 2005. Mumbai High Court Information of Rights. Maharash.. 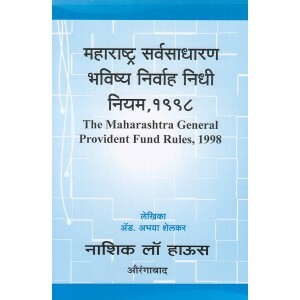 This is a guide for Maharashtra State Government Employees. It contains all the Rules and Regulat.. This book contains Birth, Deaths and Marriage Registration Acts and Rules along with following la.. 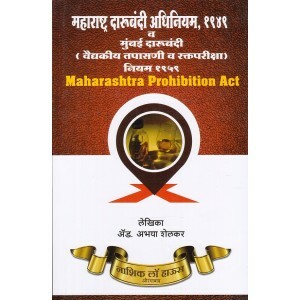 The Bombay Prevention of Gambling Act, 1887 [Marathi] [Mumbai Act No. 4 of 1887] .. 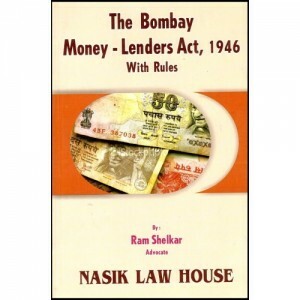 The Bombay Regulation,1827 The Bombay Regulation IV Of 1827 The Bombay Regulation.. The Air (Prevention and Control of Pollution) Act,1981. The Arms Act,1959. 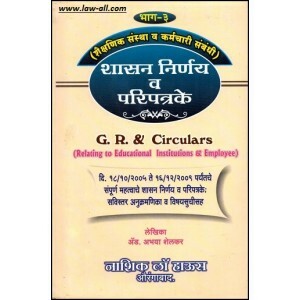 The Ar..
Higher Secondary School & Junior College Manual .. 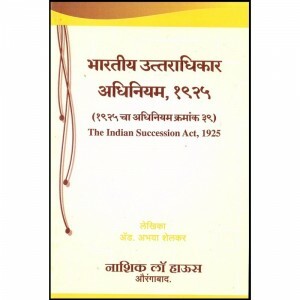 The Indian Succession Act, 1925 by Adv. 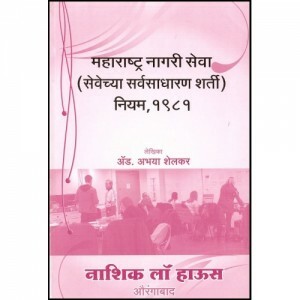 Abhaya Shelkar NLH021 .. 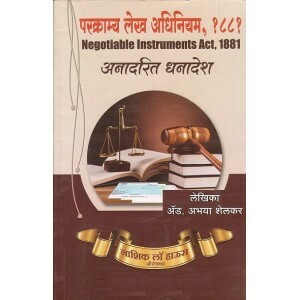 This book contains the entire Bare-Act of The Indian Contract Act, 1872 in Marathi. Preli.. 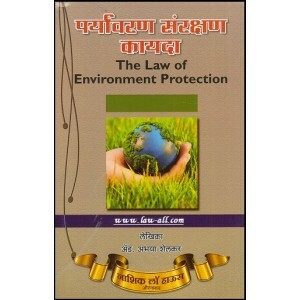 The Law of Environment Protection [Marathi] ..
अन्न सुरक्षा तथा अन्न भेसळ प्रतिबंध कायदा अन्नसुरक्षा व मानके अधिनियम, २००६अन्नसुरक्षा आणि मानक नियम.. 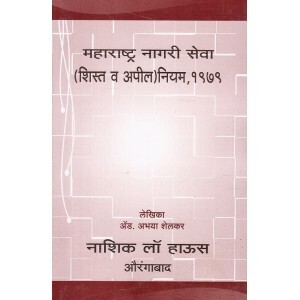 The Maharashtra Civil services (Discipline and Appeal) Rule,1979 [Marathi] book by Abhaya Shelkar..
General . General Conditions. Leave Permission and Return Back from Leave. ..
Computer handling and Use of Computer Knowledge Rules and General Decisions and General Circulars.. Contents : Use Of Telephnes. Telephone Calls Limit. Control on Expenses.. Detailed Name. Definitions. Structure Of Funds. Eligibility Conditions. .. 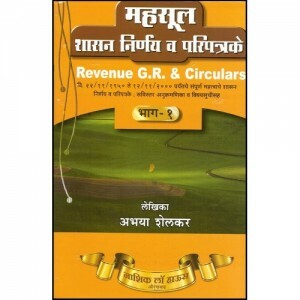 This is a book on Maharashtra Money Lenders Regulation Act, 2014 in Marathi by Adv. Abhaya .. 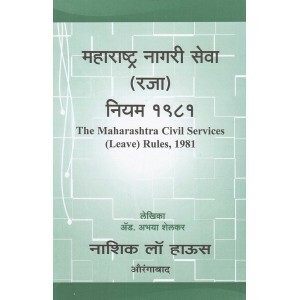 The Maharashtra Right to Public Service Act, 2015 [Marathi] book by Adv. Abhaya Shelkar, Nasik La.. Preliminary. Maintenance of Parents. Establishment of Old Age Home. Procedu.. 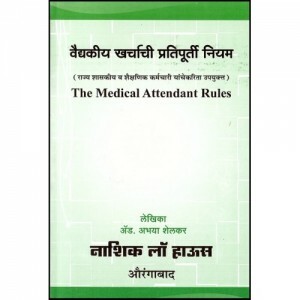 The Medical Attendant Rules[Marathi] by Adv. Abhaya Shelkar with Important Government Decisions a.. 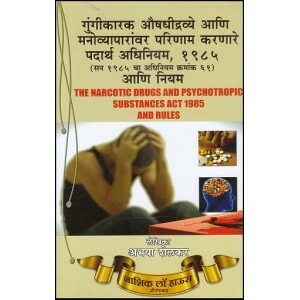 The Narcotic Drugs and Psychotropic Substances Act,1985 and 1988 and all Related Rules .. The Non-Granted Schools Service Condition & Rules [Second Edition, 2013] .. 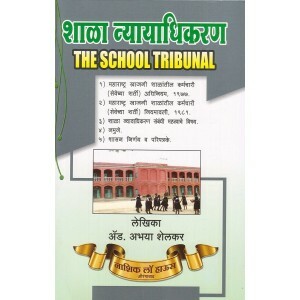 This is an essential law book for all Employees of Private Schools. It contains the following Law.. 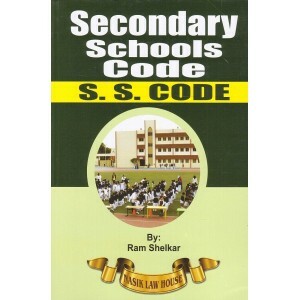 This is a book on The Secondary School Code [Marathi] (SSC) by Adv. Abhaya, Nasik Law House. The ..
Wakf Observation. Central Waqf Organisation. Establishment Of Organisation and Th.. 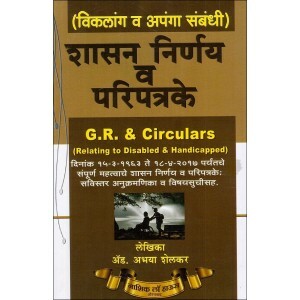 This book contains the Wild Life Protection Act, 1972 in Marathi along with various legislations ..
Revenue G. R. & Circulars With Part I & II by Abhaya Shelkar, Nasik Law House [Marathi &a.. The Bombay Agricultural Debtors Relief Act,1947. The Bombay Agricultural Debtors Relief.. 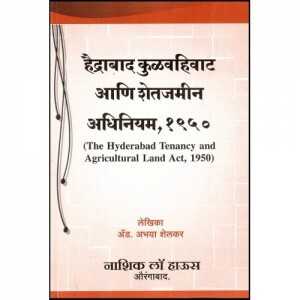 The Hyderabad Tenancy and Agricultural Land Act,1950[Marathi] by Adv. Abhaya Shelkar Tenancy ..
General Preliminary. General Conditions Of Services. .. 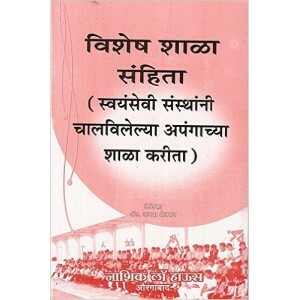 Contents : Establishment and Constitution Of The Corporation Functions and Powers O.. 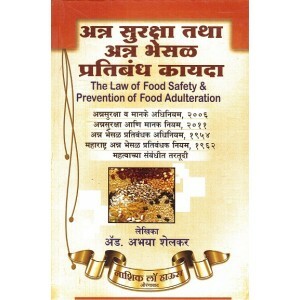 This is a book on The Maharashtra Prevention of Fragmentation and Consolidation of Holdings ..